Oak is often prized for its durability and rich natural color, which is why some homeowners may hesitate to paint over their oak trim. However, if you prefer a cleaner and more modern look, then you shouldn’t hesitate painting over your oak trim. Painting oak trim, white brightens a room and requires no additional technique or tool than painting over any other trim. The decision of whether or not you should paint over your oak trim should be based on what you like. So unless you plan to resale your home soon, you shouldn’t hesitate. And even so, the resale value won’t be much affected since the actual craftsman’s oak wood is still under there. When it comes time to sell your home, your Realtor will make sure buyers know that there is original finished woodwork underneath the painted trim. The value is still there. 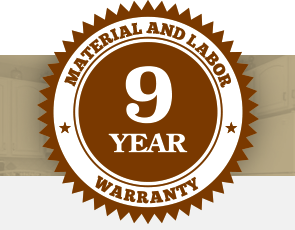 The same thing applies to hardwood floors–some homeowners have hardwood floors but still choose to cover a carpet from wall to wall. If the subsequent buyer prefers hardwood floors, the realtor will make sure they know there is hardwood underneath that carpet. • White Enlarges Spaces: white is commonly used to make small spaces appear larger. It tricks the eye into believing there is more space than there really is. You can use the same trick in your space by using contrasting darker or bolder paint colors on the walls with white trim. You will be able to make your space feel more expansive without necessarily having to paint all your walls white. • White reflects light and makes the room brighter: if your home has spaces that need more natural light, you can use white to do some of the work. Painting your trim white will reflect some of the light in the room and increase the level of light slightly. This allows you to experiment with different colors on the wall. The trick here is to make everything flow, especially if you’re keeping the trim white throughout and varying the color on the walls. 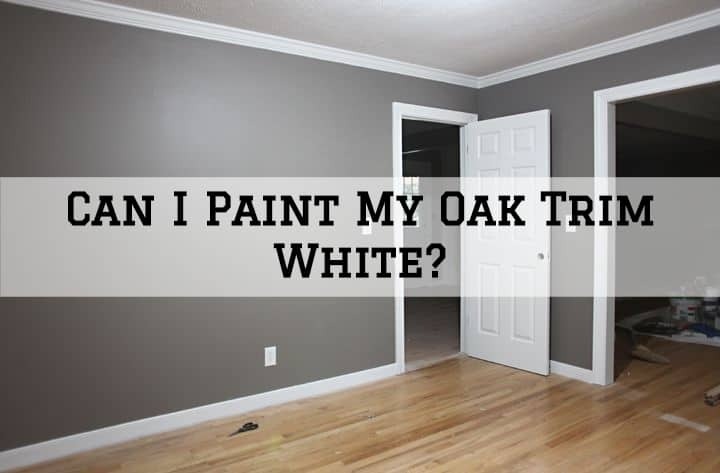 While painting your oak trim white is quite OK, you might want to rethink this option if you have a white wall. You can actually get away with a white wall and white trim, but you will need to make some adjustments to keep your space from looking “washed out.” Doing things like filling the wall space with art, photos and décor can help, but your space might look too busy. Either way, there is a possibility that your place will look too sterile. If you have a white wall, you should probably paint your trim with a bold color to bring some personality into your room. If you want a softer touch, you can go for something like a beige or pale gray to give just a subtle visual break, but without drawing too much attention to itself. If you want to keep the original look of the trim, then you should probably think of an alternative that doesn’t hide the rich wood character of your oak trim. Even so, wood stains darken over time so if you choose to retain your wood, you will probably need to lighten it up by removing the old finish and refinishing it with a modern sealer. You can use a chemical stripper to remove the old finish. Once the trim has been stripped, you may choose to lightly sand the surface to get down to the natural color of the wood. There are a plethora of finishes available out there–you can choose from dark/dense, medium to transparent stains. If you want more wood grain to show in the oak, stick with clear stains. If you would like to retain your current oak trim, go ahead and do so. Remove the old dark look, return the wood to its true original color then refinish with a clear finish. Clear finishes with no gloss and color in them will leave your wood with its natural color and look. Painting your oak trim white is a perfect option too. The trim will absorb some light, brighten up your space and make your space appear bigger even if it’s not.